New Hands off Gretel Album ‘I Want The World’ out now! Hands off Gretel Album Funded in 24 hours! Fury and Dakesis Christmas Cover! 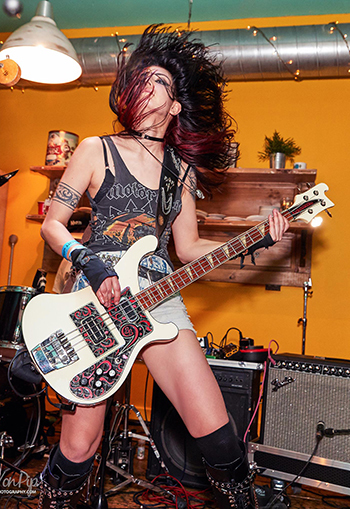 Becky Baldwin is quickly becoming one of the UK's busiest female bassists. She performs regularly with a number of original and covers projects in Bristol, London and the surrounding areas. She is an experienced performer, tutor and session musician and a co-director of her own rock school.